This afternoon, Council Member Mark Levine will introduce a bill [PDF 1, 2] requiring DOT to give car-share companies designated on-street parking spaces, potentially for a price. Guaranteed parking would boost car sharing, Levine says, and reduce car ownership. Trouble is, there’s not much data to say whether or not car-share in New York is reducing vehicle ownership or just encouraging more driving. Levine introduced the bill days after Car2Go announced an expansion into western Queens. The company, owned by auto giant Daimler, offers a fleet of 450 Smart cars in a 36 square-mile zone covering the western half of Brooklyn, from Greenpoint to Coney Island. Starting August 29, the company is adding another 100 vehicles and eight square miles in Long Island City, Astoria, Woodside, and Sunnyside. Customers of the point-to-point service can start and end trips in any free curbside parking space. There isn’t enough research to back or refute Levine’s intuition. That’s for two reasons. First, most scholarship has focused on round-trip services like Zipcar, whose customers start and finish their trips in the same parking spot. Second, there isn’t much data on cities with New York’s level of density, transit service, and low car ownership rates. In fact, one of the advantages of car-share is that it calculates the cost of driving using a per-minute or per-hour rate. In contrast, car ownership frontloads big expenses like insurance and car payments, making each subsequent trip seem less expensive. This has an impact: Shaheen’s research shows that, on average, people drive 27 percent fewer miles after joining round-trip car-share services. A quarter sell their personal vehicles after joining, and another quarter postpone buying a car. 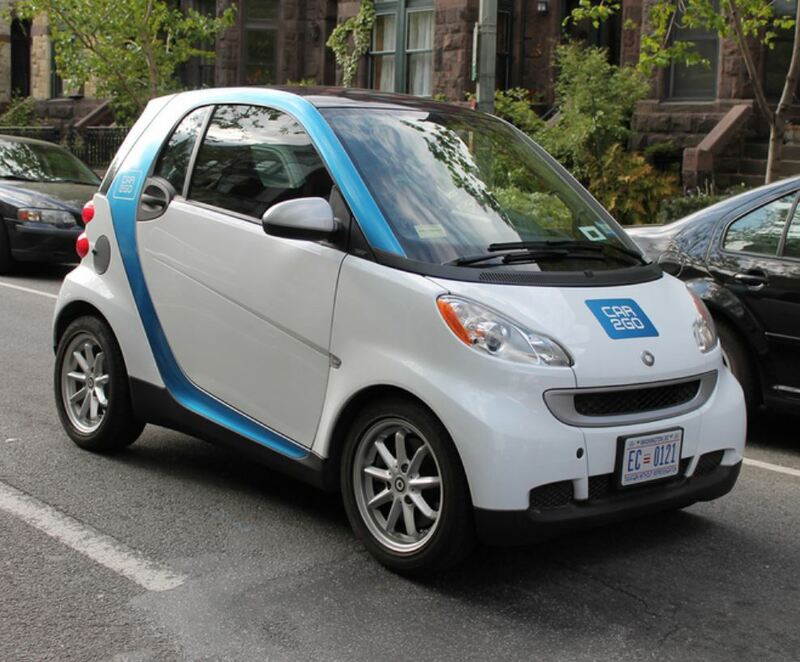 There isn’t much data on the effect of one-way services like Car2Go. This fall, Shaheen is launching a study using trip data provided by the company, supplemented with before-and-after surveys of customers’ travel habits.